Is Your Pet a Liability? Pets are like family for most of us, and we love them unconditionally. It may not have occurred to you that Buddy or Tiger could ever be a liability, but if your pet ever attacks someone for any reason, you could find yourself responsible for a big medical bill and possibly lose your beloved animal. Most people think of dog bites when they think of potential injuries caused by pets. You probably think that your sweet mutt would never harm anyone, and that may well be true. However, according to the Centers for Disease Control and Prevention (CDC), dogs bite more than 4.7 million people annually in the U.S., resulting in an estimated 800,000 injuries that require medical attention. More than half the bites occur on the dog owner’s property. The dog bite victim may choose to press charges and/or file a civil suit against you. While you may or may not be legally ordered to cover the victim’s medical expenses, it’s probably a good idea to offer in any case. You will be showing responsibility for your dog’s actions, and may help avoid a nasty lawsuit. It’s also the responsible thing to do, even if you have an explanation for the dog bite. In reality, proving your dog was provoked or somehow justified will be difficult unless it can be proven that the victim was committing a crime. Particularly if the victim is a friend, family member, or neighbor—as is the case with many dog bite injuries—you might want to avoid having this argument. Dog bites aren’t the only danger posed by a pet. People trip over their own or others’ pets fairly often, and more stumbles lead to serious injury than you might think. Falls from tripping over or otherwise colliding with a pet, serious enough for treatment in emergency rooms, averaged nearly 87,000 per year in the U.S. between 2001 to 2006, according to the CDC. Pet snakes can cause injury and even death to humans and other pets. Reptiles can transmit salmonella and other diseases. Exotic pets are become ever-more popular in the U.S.; there are more tigers kept as “pets” than exist in the wild—and the potential for harm can be fairly high due to mishandling and lack of knowledge about exotic creatures. Homeowners’ insurance should include liability coverage which will cover pet-inflicted injuries or property damage. If you’re renting a home, renter’s insurance will typically include some liability coverage and a minimal amount of medical and property damage coverage. Since the law does not require insurance policies to cover pet-related damages or injury, some insurance companies will specifically exclude pet-related incidents. It’s worth shopping around if you’re a pet owner, and possibly paying for higher benefits or an umbrella policy if you’re concerned your pet might be involved in an incident. 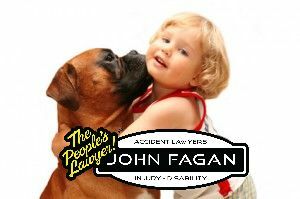 Some insurance companies will refuse policies to people with certain “high-risk” animals or specific breeds of dogs that have a reputation for biting, such as pit bull terriers, Siberian huskies, Rottweilers, Akitas, and Chow-Chows. In this case, pet owners may need to purchase specific pet liability insurance. Other types of insurance can protect pet owners in various other circumstances. Automobile liability insurance may cover dog bites or other pet-related injuries that happen in a car. Your landlord may have insurance that protects the property owner from claims that result from a tenant’s pet, but these will not protect the pet owner. Businesses that require interacting with animals will have commercial liability policies, and someone injured by a pet animal on the job may be able to claim workers’ compensation. As a pet owner, you can definitely be held liable for any injury your animal causes to someone, whether on or off your property. Whether or not the injured person “provoked” the animal is very difficult to prove, particularly if there aren’t reliable, impartial witnesses. If your animal wasn’t properly restrained, you could be sued for negligence and be liable for the other person’s medical and legal cost in any case, as well as on the hook for pain and suffering. It’s in your best interest—as well as that of your friends, family, and neighbors—to make sure your home or renters’ insurance doesn’t exclude pet-related injury and property damage. If it does, look into purchasing a rider or umbrella policy, or even pet-specific liability insurance. This is this best guarantee that you, your property, and your pet will be protected in case the unthinkable happens.